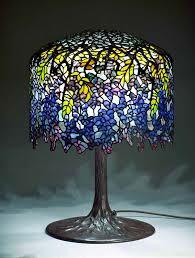 Just as is the production of this Tiffany® lamp, expert Botox® and dermal filler injecting is both an ART and a CRAFT. Injecting is an ART because every face is different and an artistic eye is required to determine what makes it the most “beautiful”. Injecting is a CRAFT, because repetition and constant practice of technique perfects skill level. Go to a Cosmetic Dermatologist who has an artistic attention to detail & performs several Botox®/filler treatments daily! ← Make Your Botox® Last Longer!